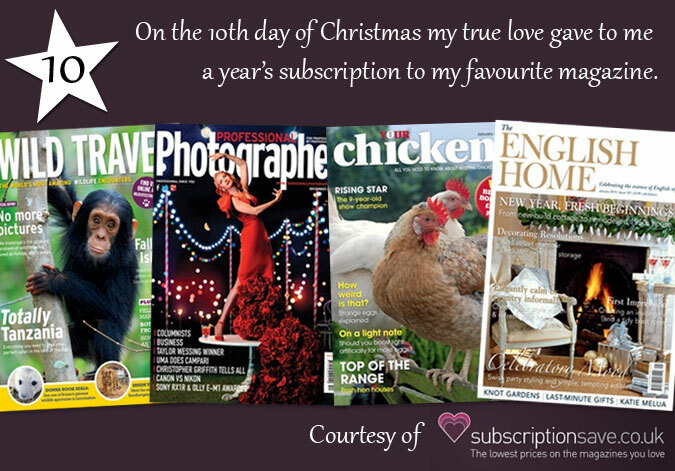 Enter today’s 12 days of Christmas competition to be in with the chance of winning a year’s subscription to the magazine of your choice, from Subscription Save. Choose from over 30 titles, including Wild Travel, The English Home and Your Chickens, and enjoy having a magazine delivered to your door every month. Subscription Save helps you save money on magazine subscriptions that you love. Choose from magazine subscription offers which cover gardening, French property, British history, photography, shooting, boating, flying, diving and much more!